We’ll be giving out 19 awards on November 26, alongside four extra awards for people in our TechNation200 list for 2015. Julian Blake reports. After spending the month of October accepting nominations from across the UK, TechCityinsider has drawn up the shortlist of three tech businesses for each of 19 TechCities Awards. There are 14 awards for UK regional technology clusters, along with four separate awards for London, as the UK’s predominant tech business hub – and the location from where we received most entries by far. The TechCities Awards for London are for newcomer, innovator, scale-up and tech business of the year. 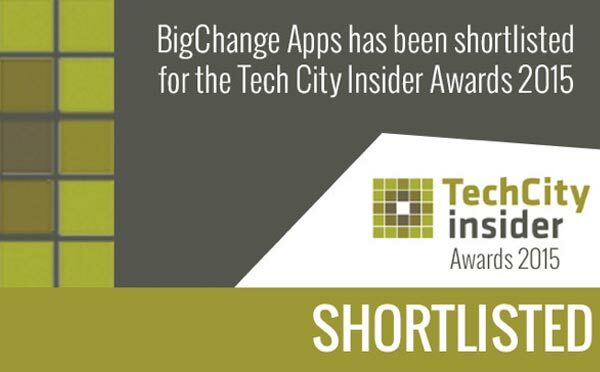 TechCityinsider received almost 200 applications from around the UK for the awards. The awards are designed to celebrate the UK’s best next-generation digital business. It follows TechCityinsider’s year-long tour of the key technology clusters around the country, where we met and interviewed tech business leaders. Winners will be announced at the TechCities Awards ceremony on November 26, at Trampery Old Street in the heart of the east London technology community. All shortlisted companies have been invited to attend. Judges for the awards are TCi’s expert partners, from City University London, Grant Thornton, Knowledge Transfer Network, NatWest, Vitamin T, Tech London Advocates and Williams Powell. In making their decisions, judges will be looking for companies that are the most innovative and likely to succeed. Entrants needed to be less than five years old and have a viable tech product or service at the centre of their business proposition. Three businesses, drawn from entrants around the country, have been shortlisted to receive an additional award, the TechCities editor’s award, given to the business that has made an outstanding contribution to the UK technology scene. In addition to the TechCities Awards, TCi will be giving out four awards to people who feature on our 2015 TechNation200 list. These awards are for entrepreneur of the year, ambassador of the year, tech for good and tech funder award. Alongside the national recognition that the awards generate, every winner receives a specially designed trophy created by the London maker community. TechCitinsider publishes its 2015 TechNation200 Almanac on November 26, at a evening launch party at east London’s Shoreditch House, directly after the Trampery awards event.